Happy Holidays everyone! I hope everyone has been enjoying time with their loved ones these past few days. I know I have felt the love. One of my best friends sent me a great package in the mail. 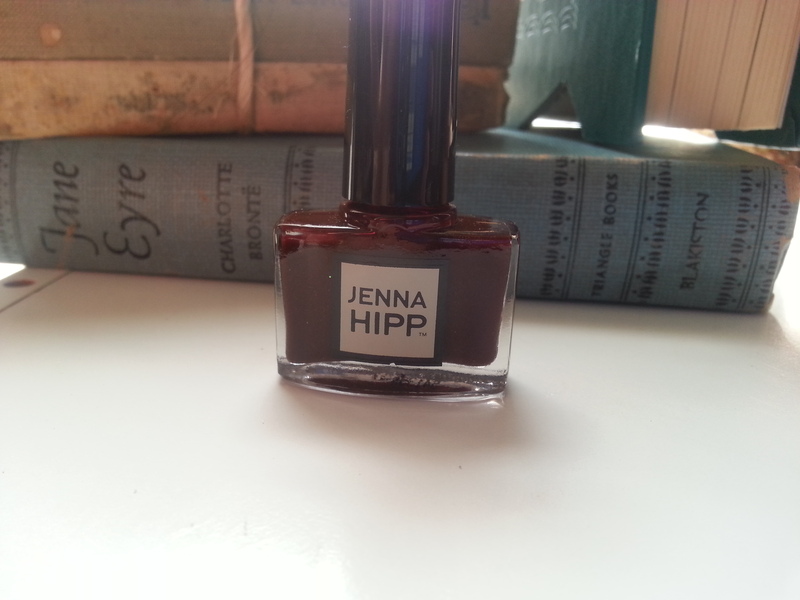 She sent me Neil Diamond’s (the love of my life) new cd and some Jenna Hipp nail polish! 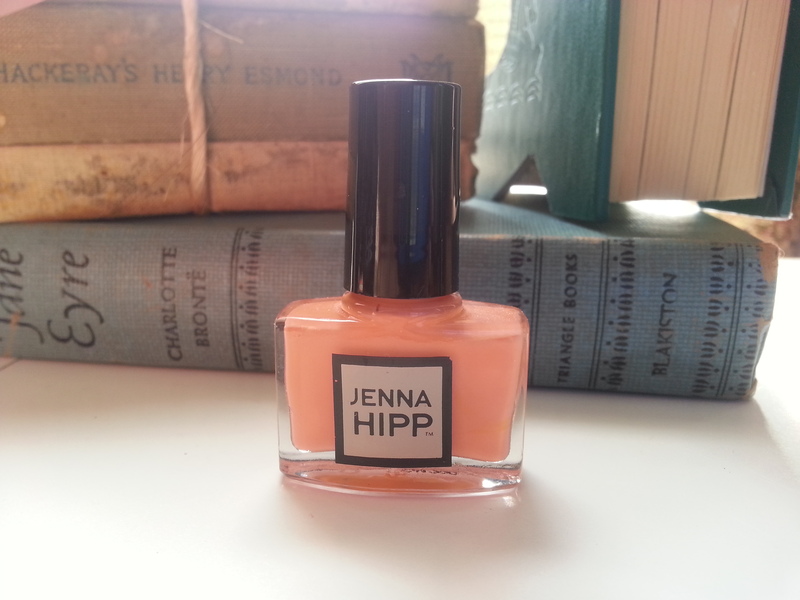 I have never heard of of Jenna Hipp until she told me about her. 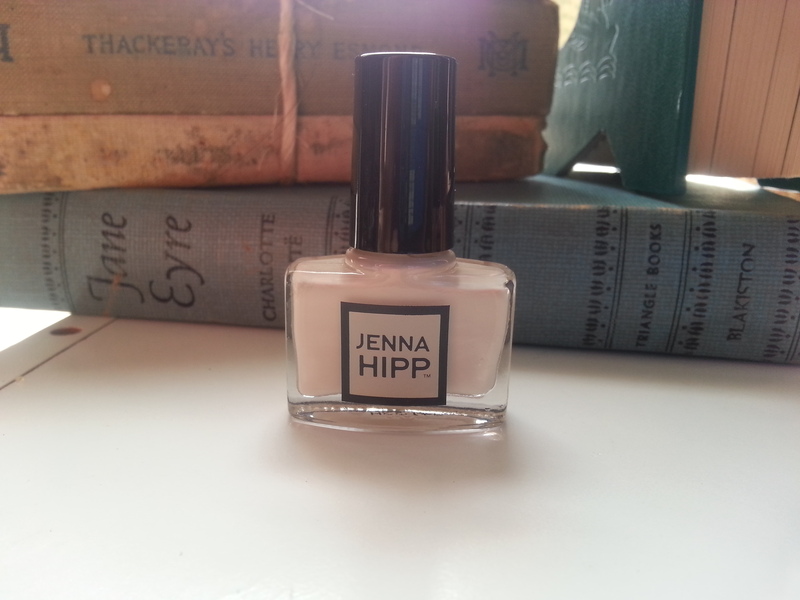 Jenna Hipp is a celebrity manicurist. 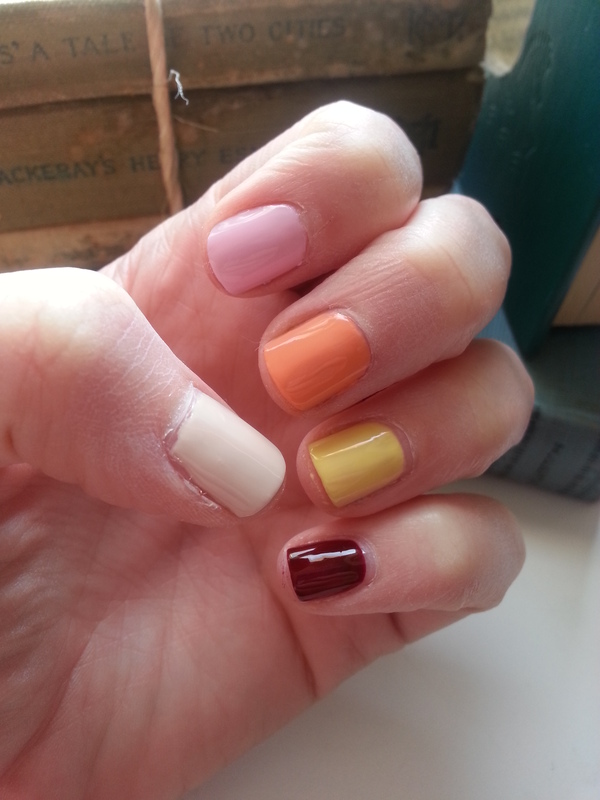 Her polishes are 5 Free which means they contain no Dibutyl Phthalate, Formaldehyde Resin, Formaldehyde, Toluene, or Camphor. So that is pretty awesome. 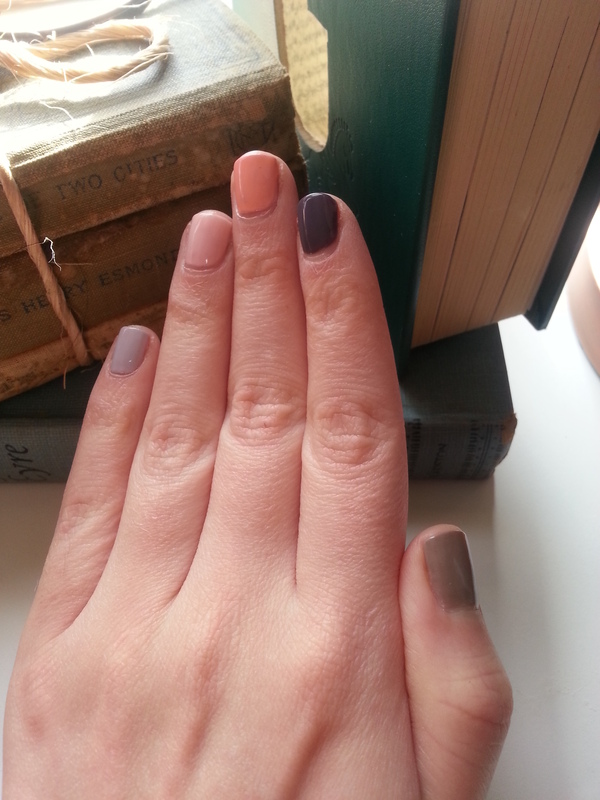 I have swatches of all the colors and then I will tell you what I think about them at the end of this post. From left to right we have: Ooh La Latte, Better Slate Than Never, Sherbetcha, Throwing Shade, and Pinky Promise. Next up we have from left to right: Life is But a Cream, Pink Me, Pink Me!, Jenna and the Giant Peach*, Say Yellow to My Little Friend*, and This is My Jam. *Not part of the New Modern Collection. Verdict: I like these a lot! I like how cream they go on the nail. I thought the color pay off was really great. The colors in the bottle looked like the did on the nail. (My pictures my be a little dark to see the actual colors.) I’ma big fan of creams than any other kind of polish, so these were right up my alley! I did have to put a third coat on most of these, but I think that was mostly because I did not use a base coat. 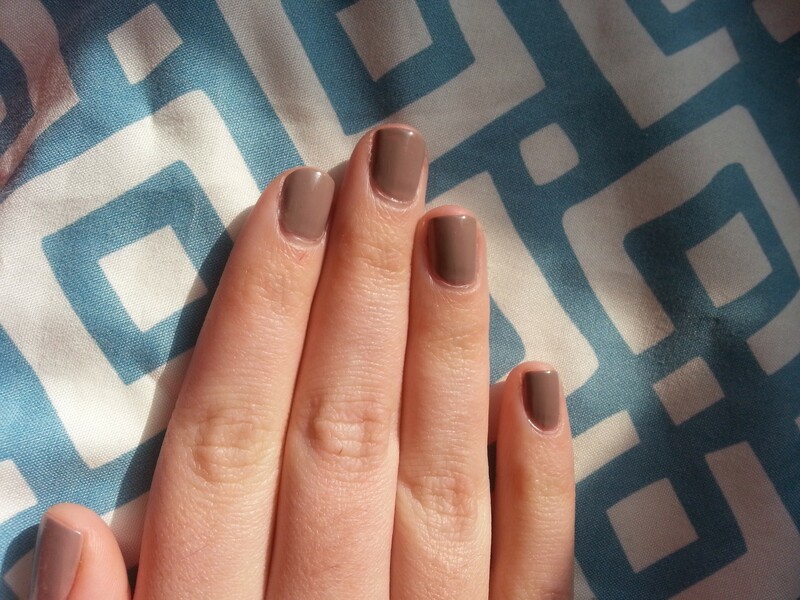 I painted my nails in just the “Ooh La Latte,” and used a base coat for that. I only used two coats. I have this on both my hands. 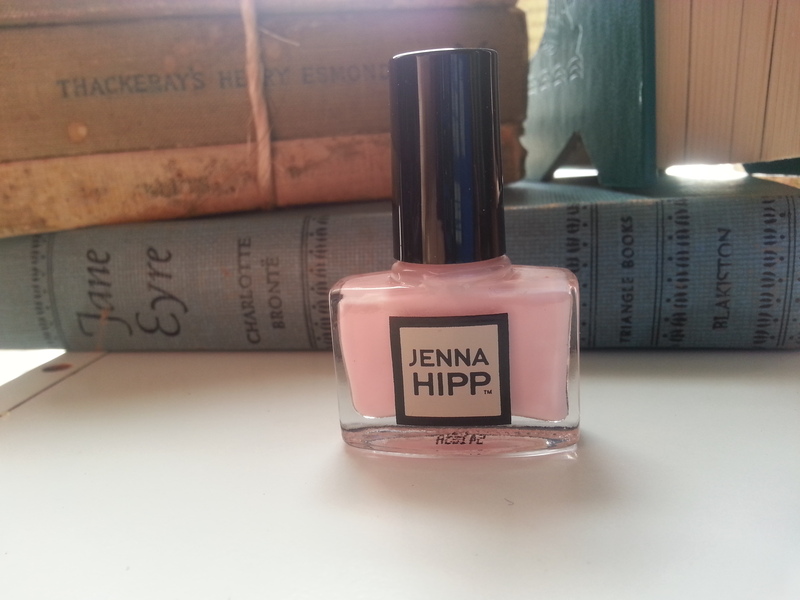 Jenna Hipp’s polish says it is chip resistant and fast drying. I can vouch for the fast drying. I was able to put on a second coat after about 2 minutes. I try to use as thin as a coat for my first coat, then I put on a thicker coat for the second one. That usually works pretty well for me. Now, as for chip resistant, I’m still waiting to see what happens. 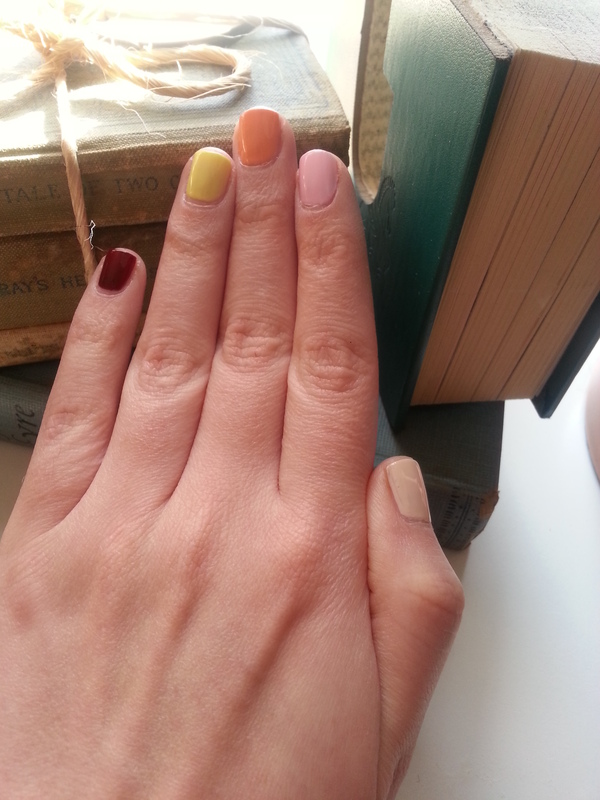 My goal in my nail polish life is to find a regular polish that doens’t chip easily. 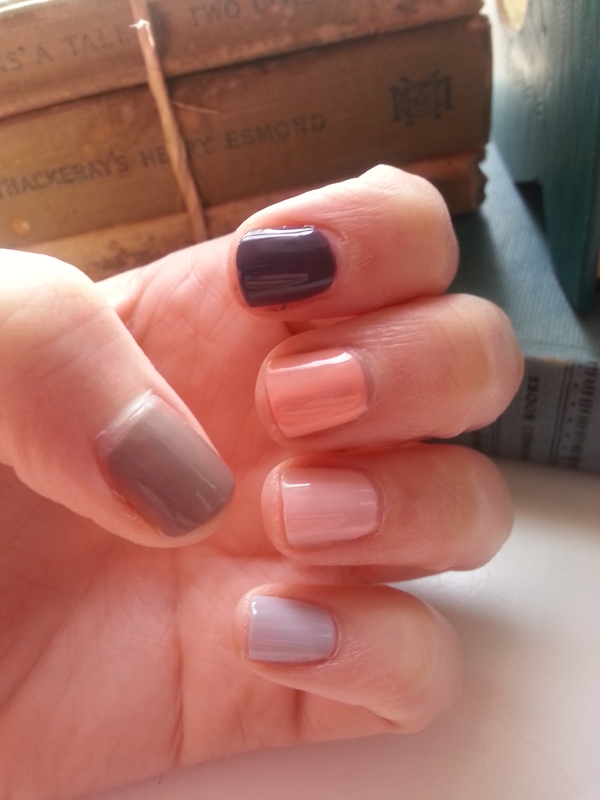 Protip: One thing you need to know about these Big 3 and Big 5 Free formulas is that you need a similar base coat and topcoat. 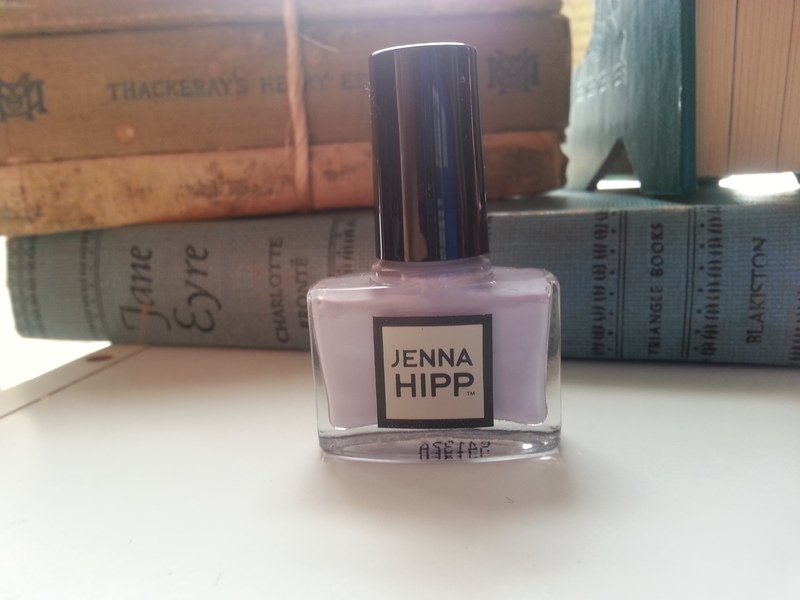 If you use a top or base coat that is not Big 3 or 5 Free, then you will risk the chance of your nails chipping easier, and not staying as long. 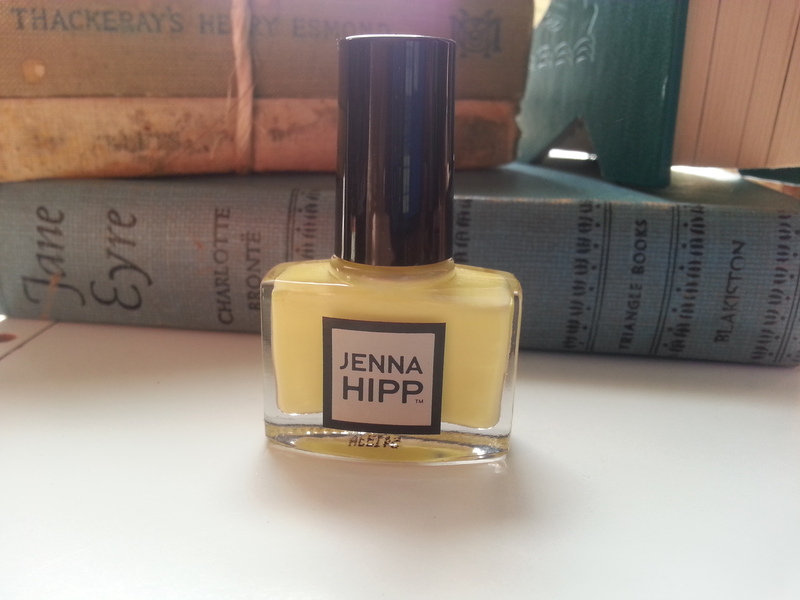 Let me know if you have tried other Jenna Hipp products and what you think of them! 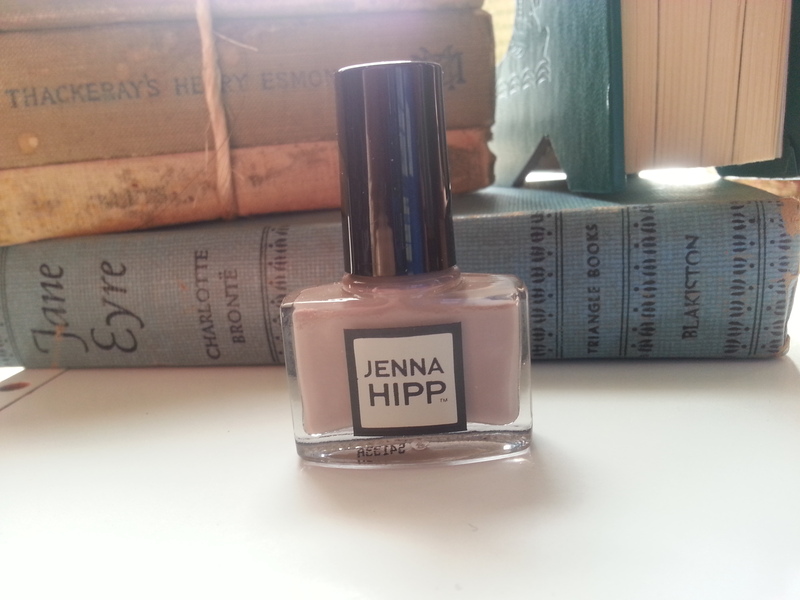 This entry was posted in Beauty, Reviews, Tips and tagged beauty, beauty product review, beauty review, jenna hipp, manicure, nail art, nail polish, nail polish review, nail polish swatches, new modern collection, noodmood, swatches. Bookmark the permalink.